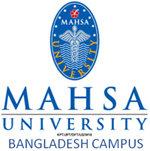 MAHSA University is one of the leading University in Malaysia. It is under MAHSA Group Malaysia. Now they start a branch campus in Uttara Bangladesh. It’s vision is to be the center of excellence in higher education in Bangladesh. It’s mission is to give the quality education and to promote the global career of the student. To organize students recruitment activities like staff counseling session, spot admission, seminar, at consultancy firm to talk with them. Advice agents and students about the programs offered, assistance in admission procedure. Planning and overseeing new promotional initiatives. Attending conferences, meetings, and University events. Preparing and presenting PowerPoint presentations for student recruitment activities. Counseling prospective students to admit into the programs. Prepare necessary documents, fill out forms, and maintain files and records. Follow up prospective students over phone independently and timely in a professional manner. Responsible for providing information, advice, support and processing of applications for the int. students. Follow through on student inquiries, requests or complaints and provide information and assistance as and when required. Bachelor/ Degree from a reputed public/ private university with a strong academic background. The candidate must have excellent writing and public speaking skills in English. Must have good management, communication, and Technical Skills.